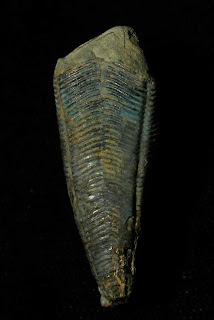 This appears to be a Paraconularia magna fossil. 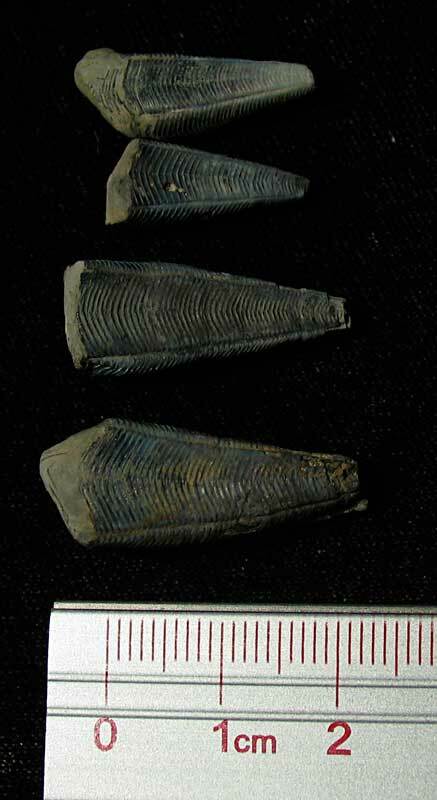 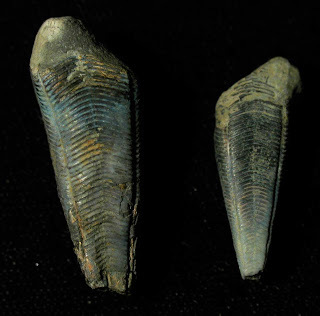 It was found in the Cisco group Finis Shale of Jack County Texas. 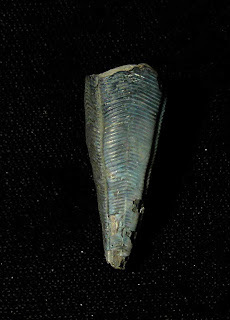 It is from the Pennsylvanian Period (Virgilian). 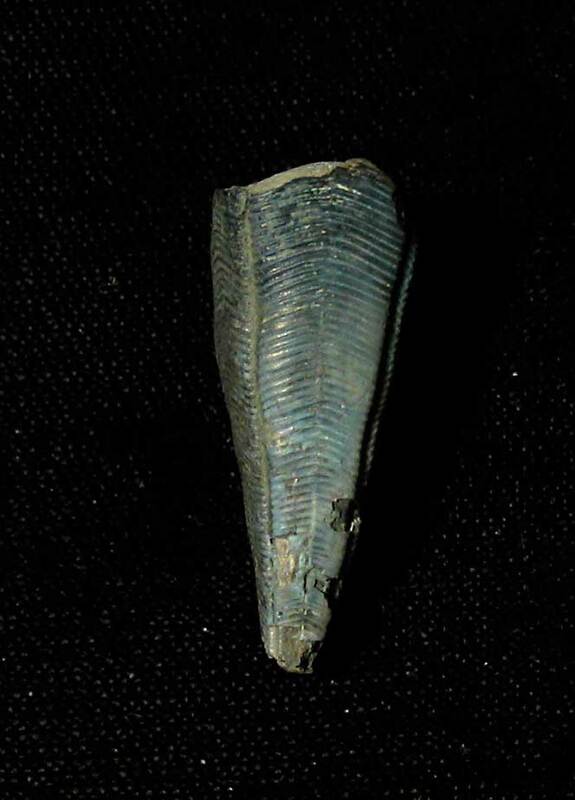 It was named by Ries in 1949. These specimens are interesting in that they are blue. 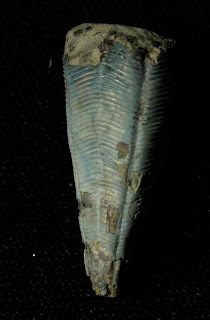 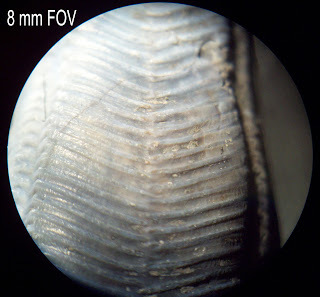 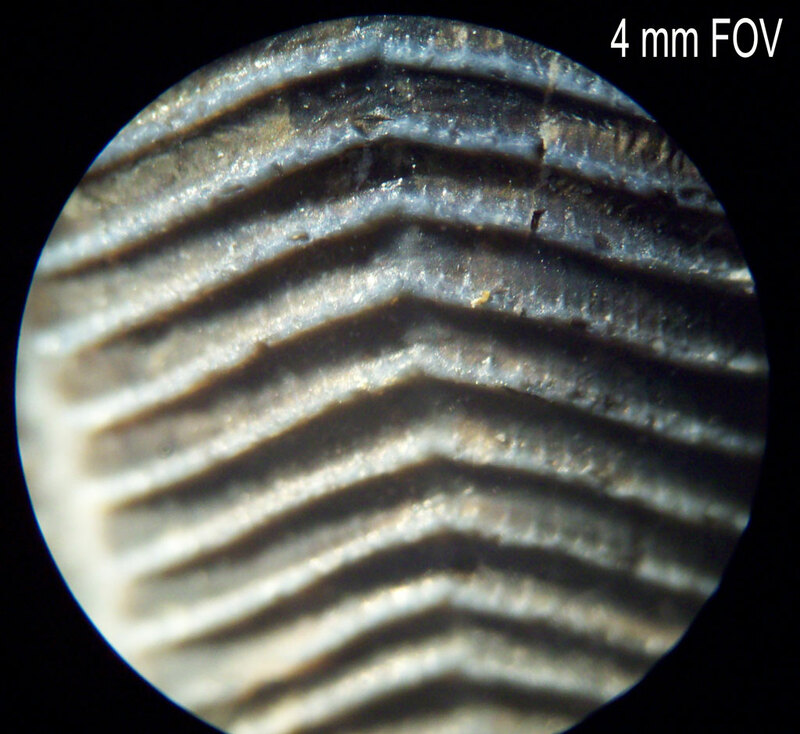 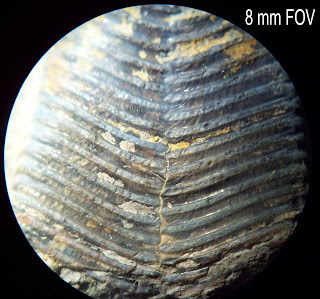 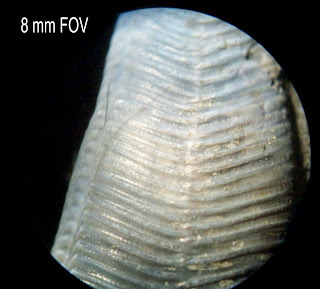 Under magnification one can see a blue like fossilized shell and more grove like detail.